Amway Global Improv-Ice, aired earlier Christmas Day on NBC, featured an all-star cast of world champions and Olympic medalists, including reigning world champ Evan Lysacek and 2006 Olympic silver medalist Sasha Cohen. The Grammy award-winning Goo Goo Dolls also performed both familiar hits and new songs live at the Honda Center in Anaheim, Calif.
For the figure skaters, this event presented an unusual challenge. 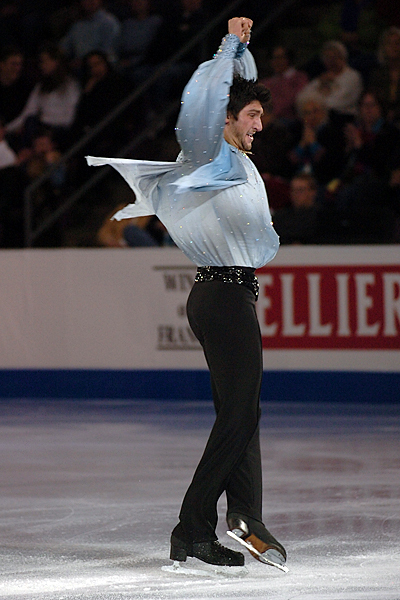 Rather than choosing their own music and spending weeks preparing a program, the skaters drew songs at random during practice on show day. They then had just one hour on the ice to choreograph their programs. Ready or not, when the Goo Goo Dolls started playing, it was time to put on a show. If you miss the Amway Global Improv-Ice broadcast – or want to watch the performances again – visit NBCOlympics.com. Other performers included Shae-Lynn Bourne, Kurt Browning, Jeffrey Buttle, Nancy Kerrigan, Joannie Rochette and Michael Weiss. After watching the performances, vote at NBCOlympics.com for the he skater you think improvised the best. The fan favorite will be revealed during the Brian Boitano Skating Spectacular, New Year’s Day on NBC.